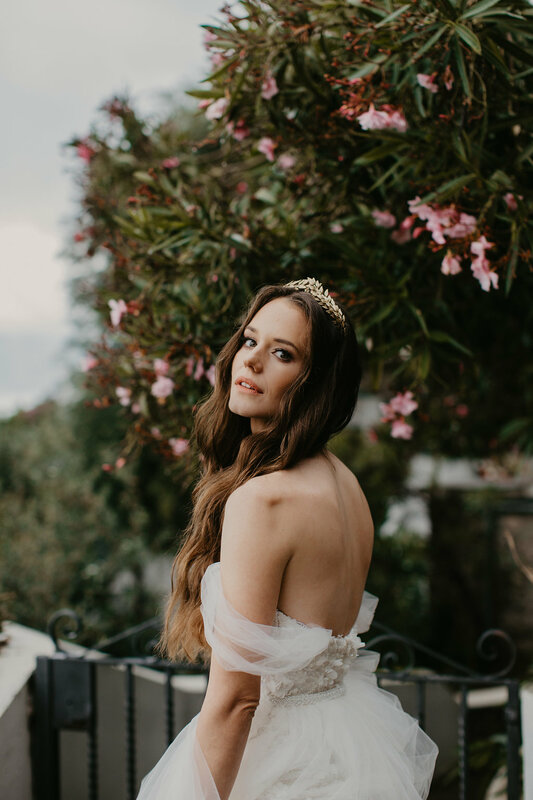 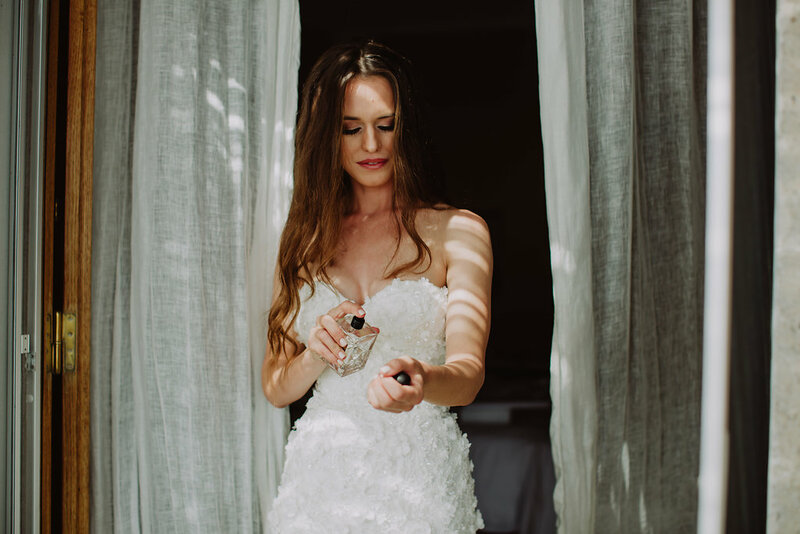 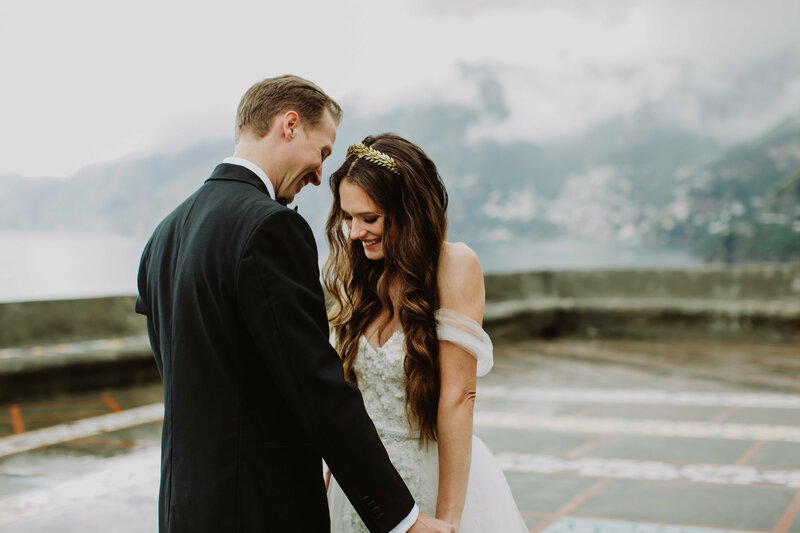 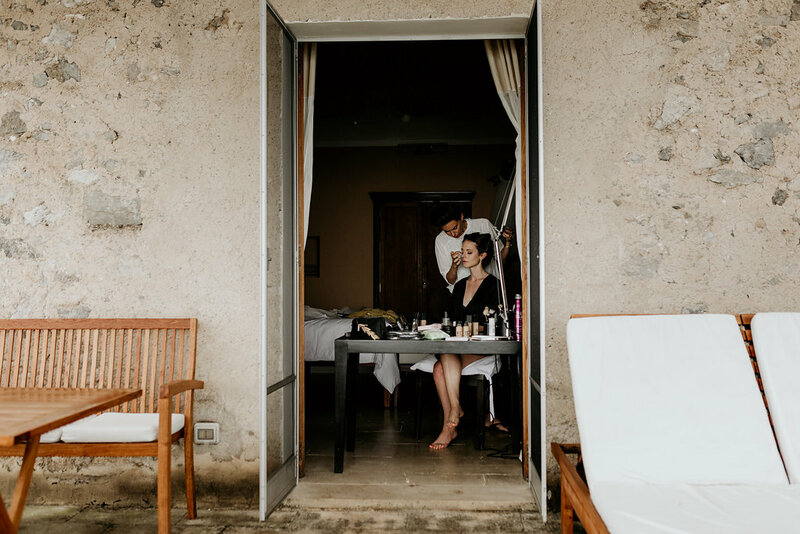 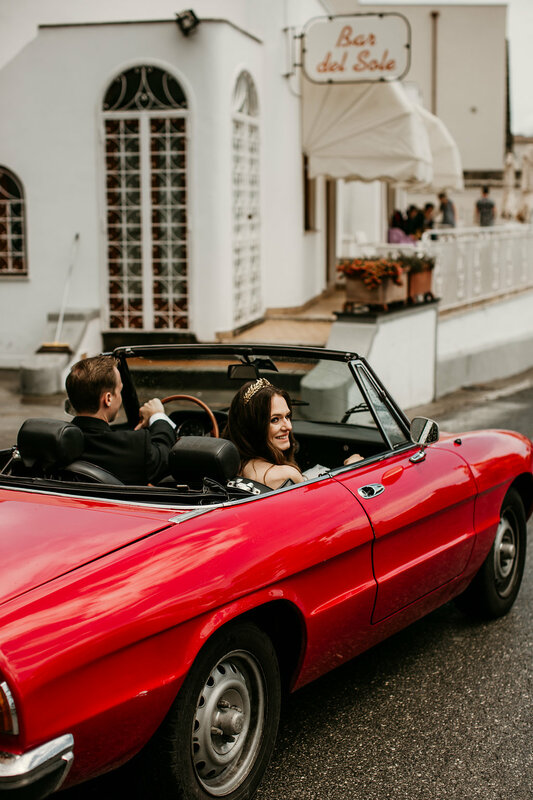 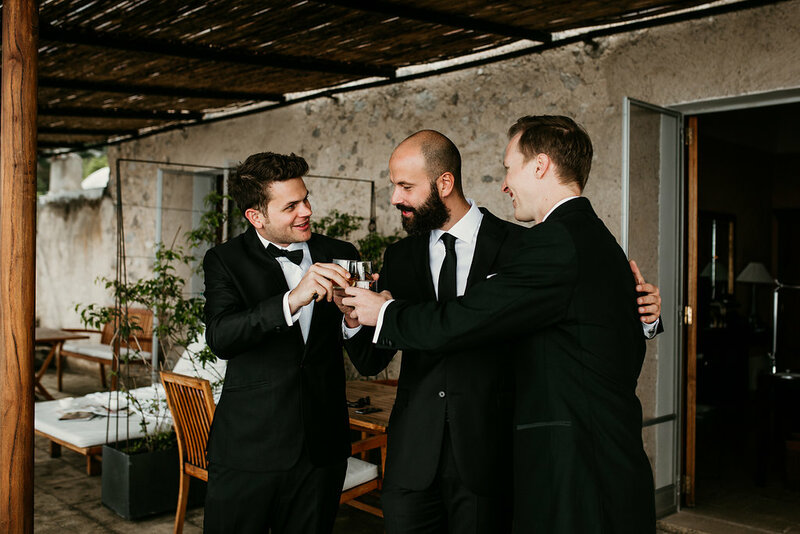 With the most stunning views of the Mediterranean Sea, this Amalfi Coast wedding at Casa Privata was as dreamy as they come! 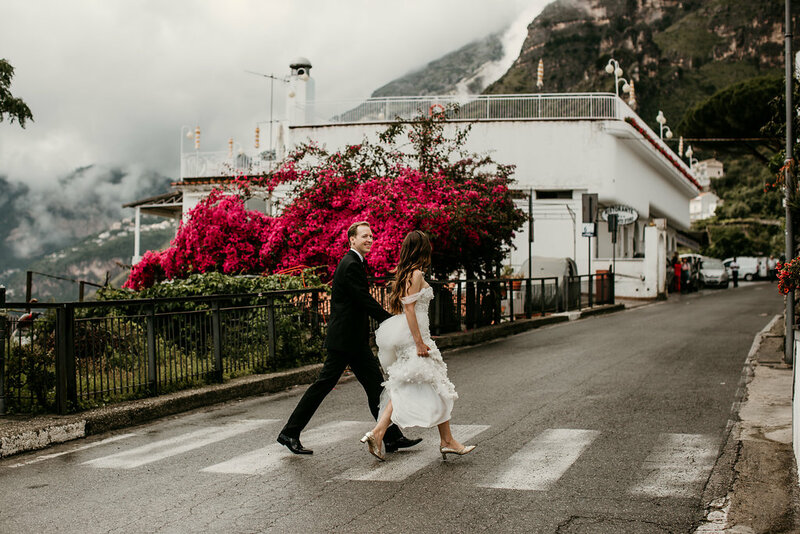 The ancient fishing village of Praiano is a popular stop on this famous coastline (and a skip and a hop away from its neighbour Positano), which is no surprise given the jaw-dropping views captured by photographers Vanilla Photography. 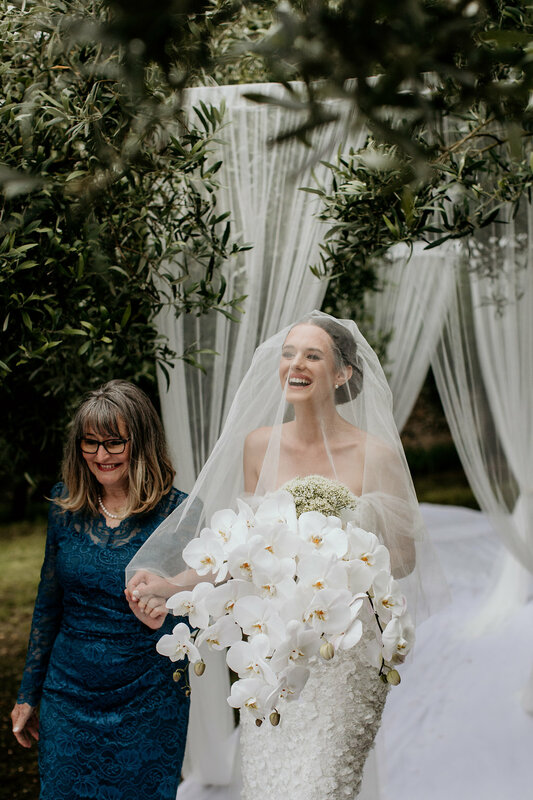 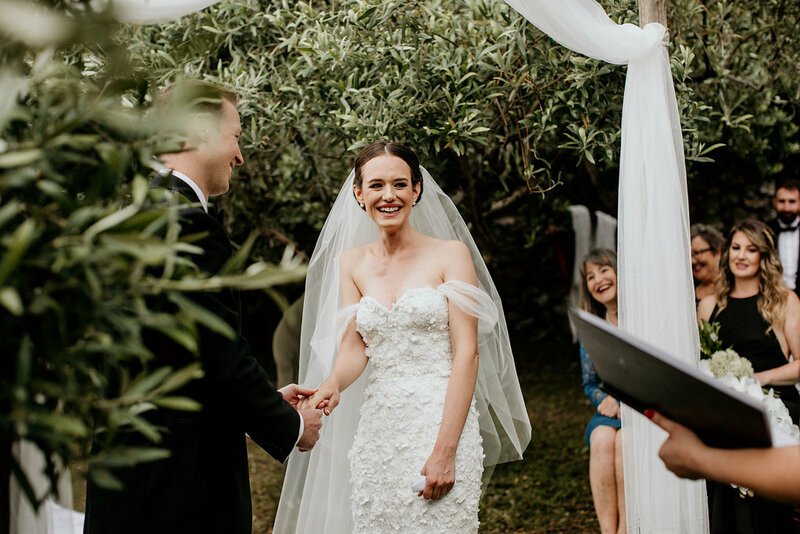 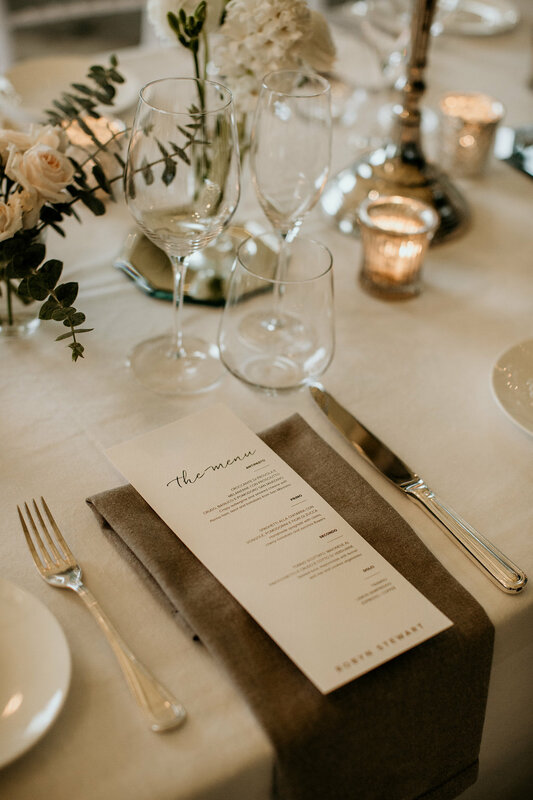 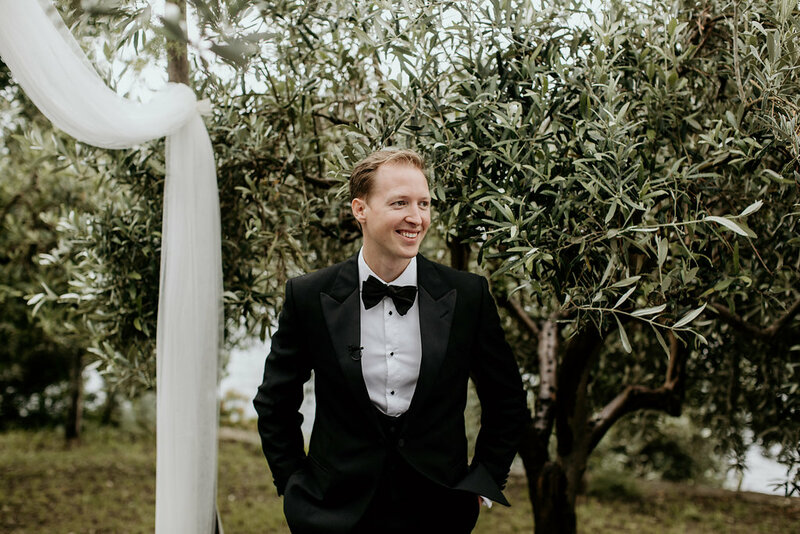 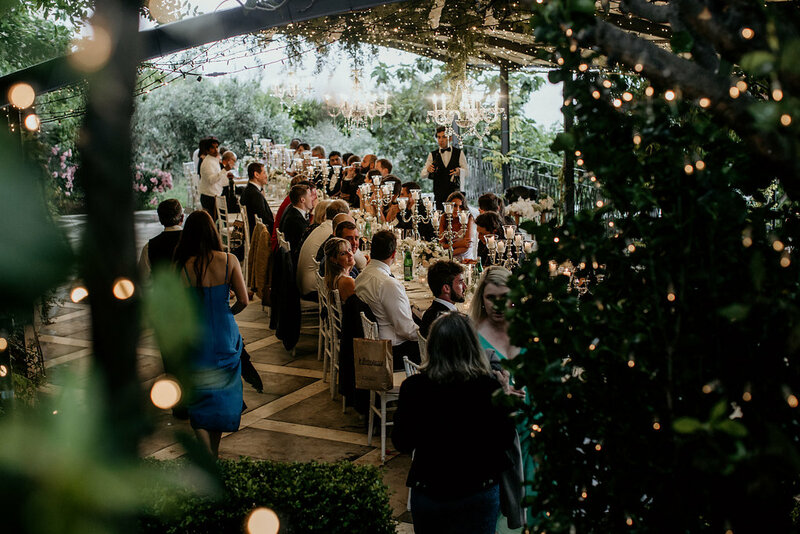 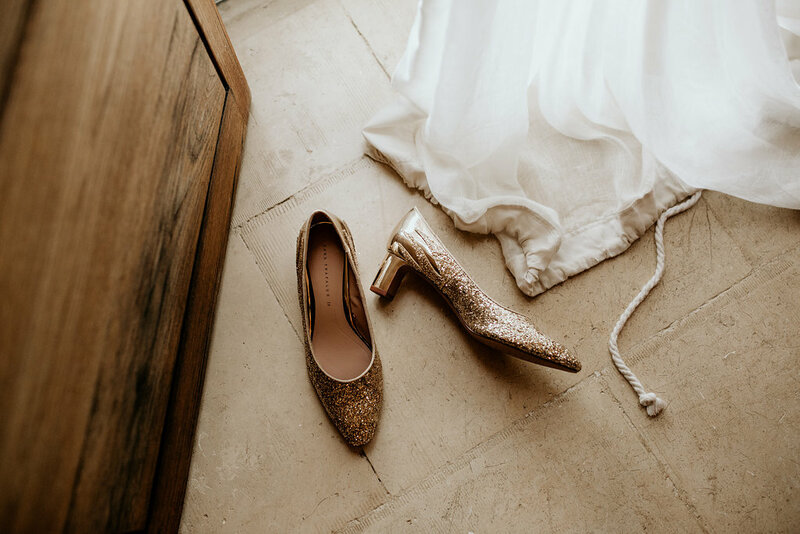 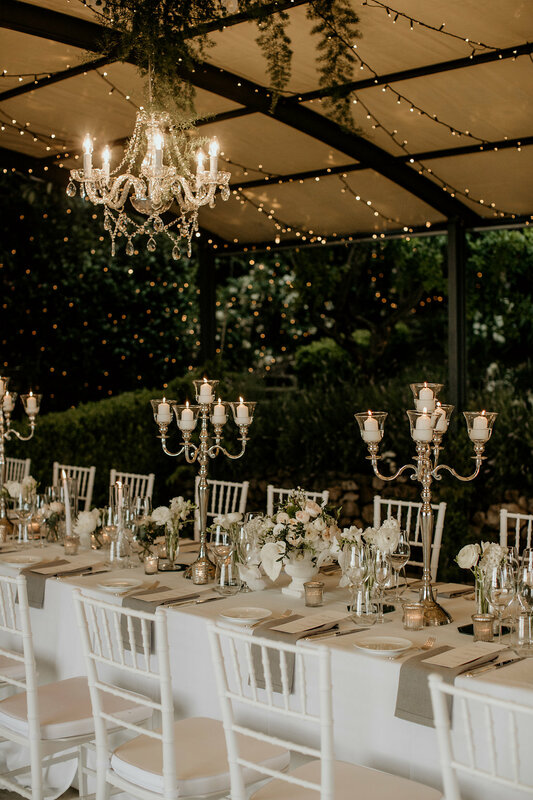 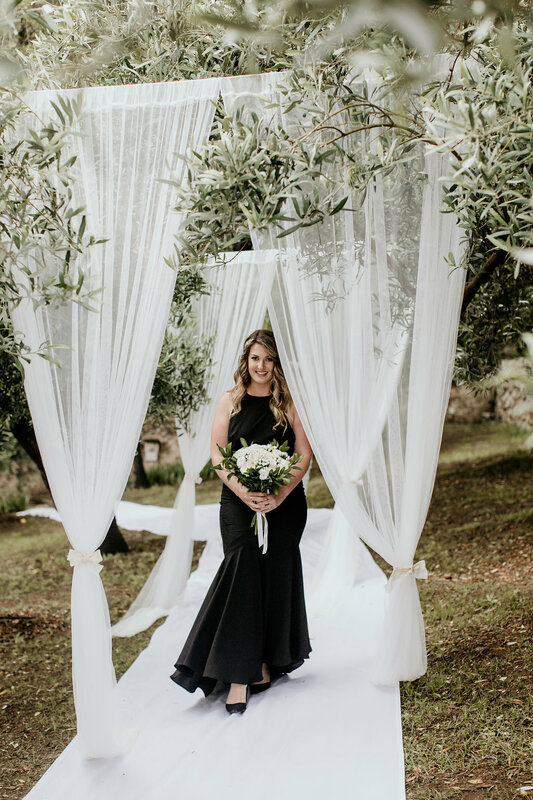 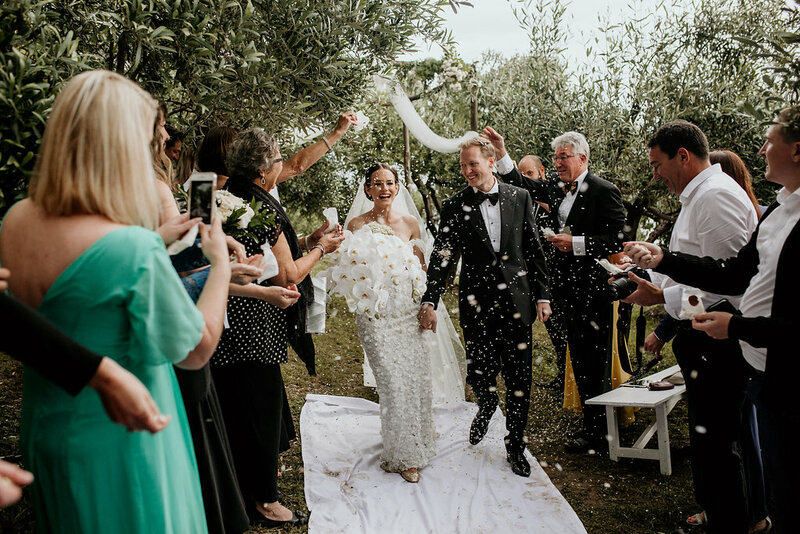 After an outdoor ceremony in the olive grove, Brett and Megan joined their guests under a canopy of hanging fairy lights for a night of food, laughter and dancing. 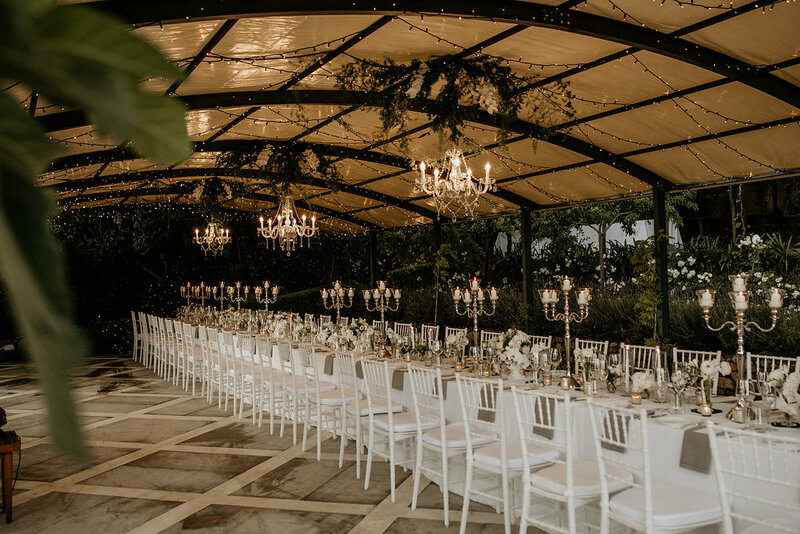 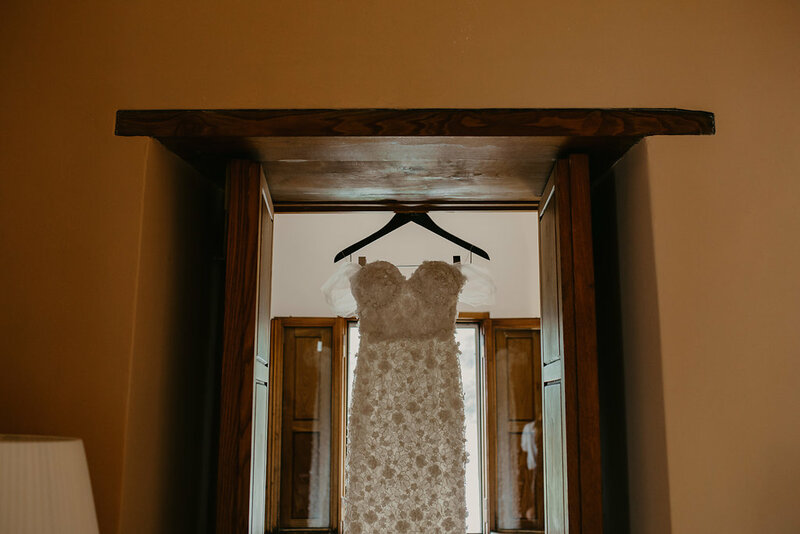 Every detail of this Casa Privata wedding was infused with the romance and charm of Italy. 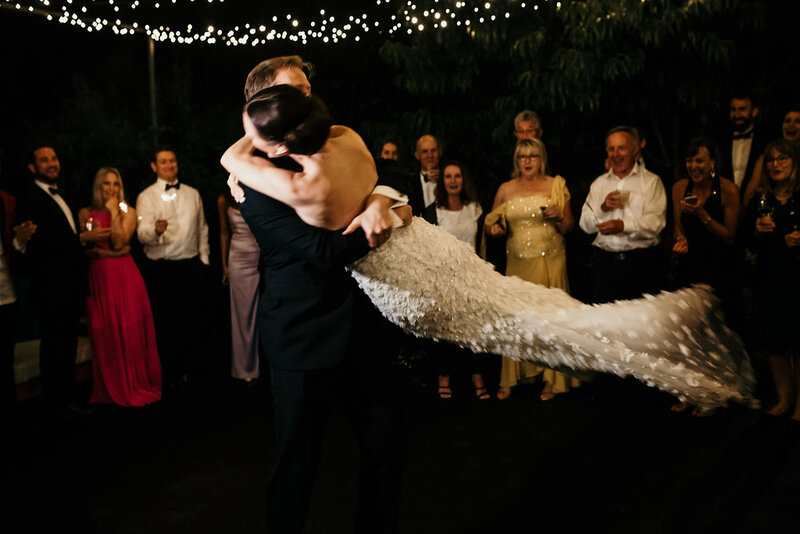 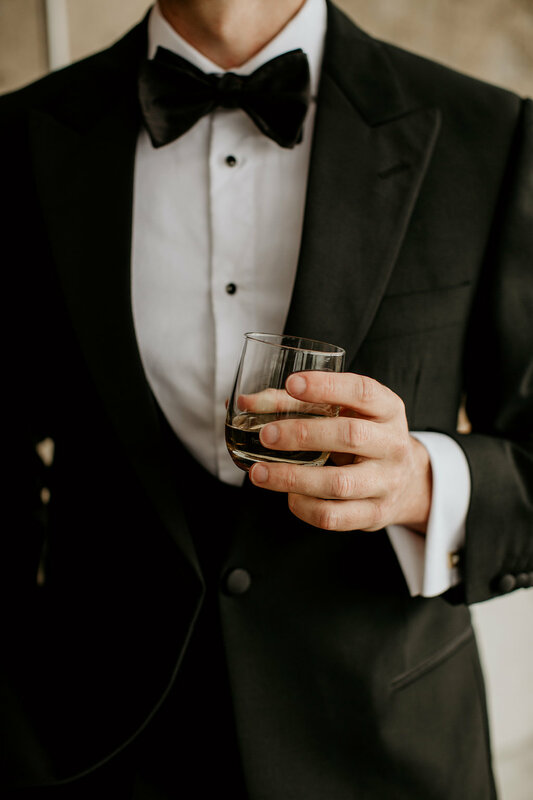 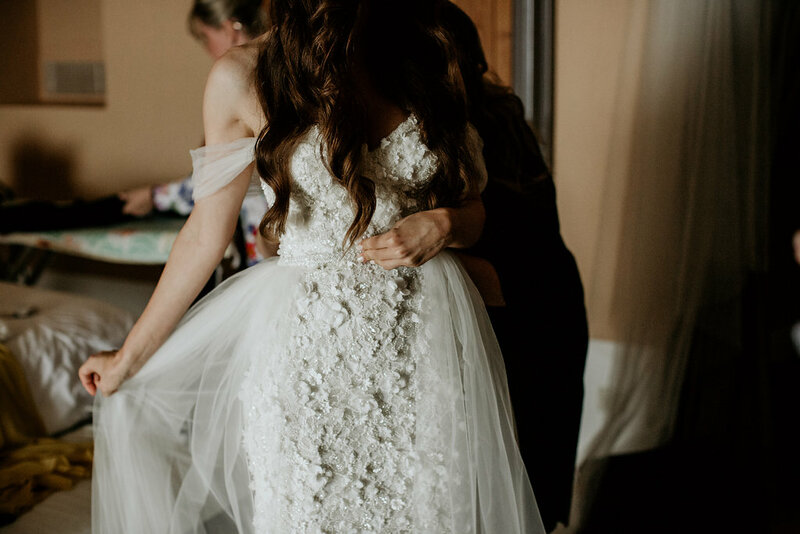 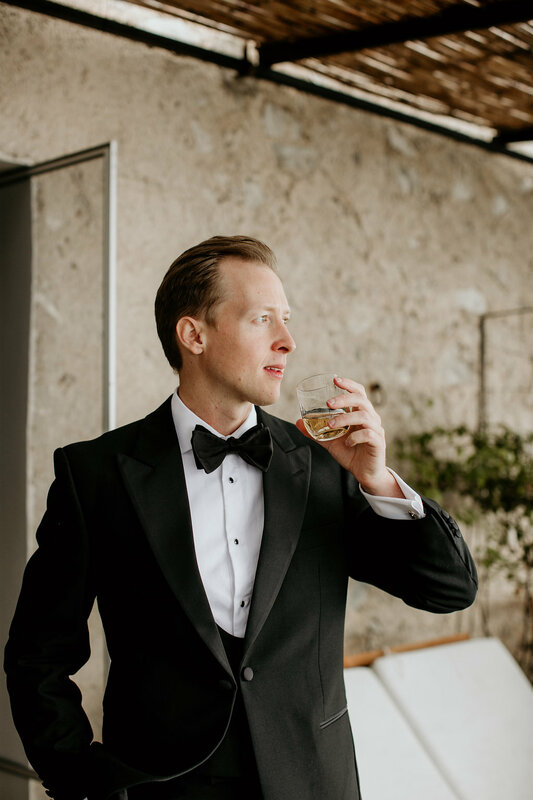 It was pure joy for us to plan this four-day extravaganza wedding. 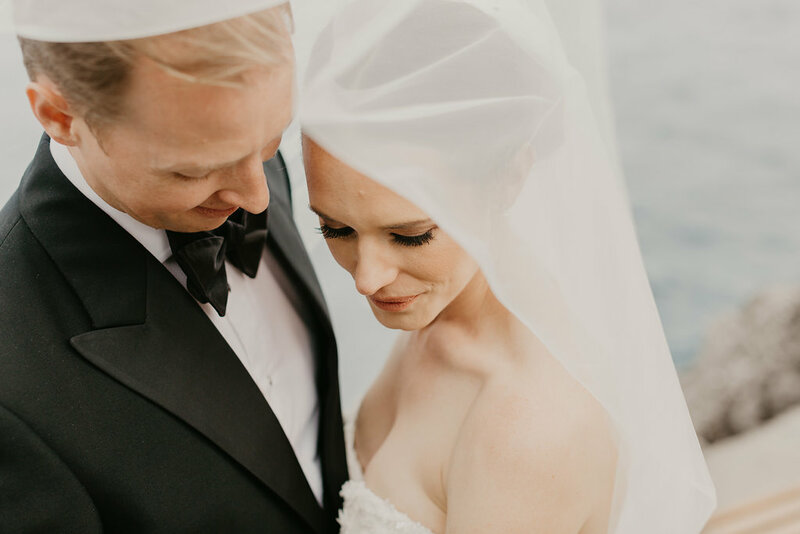 Brett and Megan enjoyed welcome cocktails, long lunch feasts, a stunning boat trip, beach clubs and more with their guests who had travelled from across the globe to be with them. 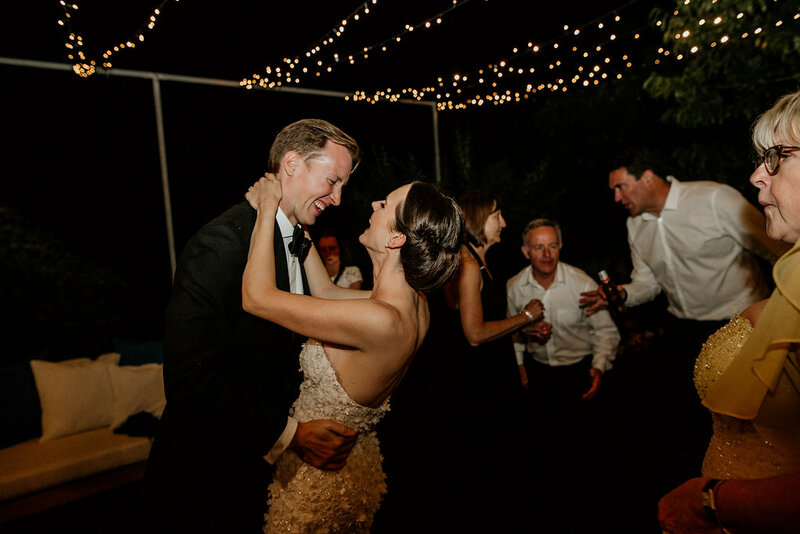 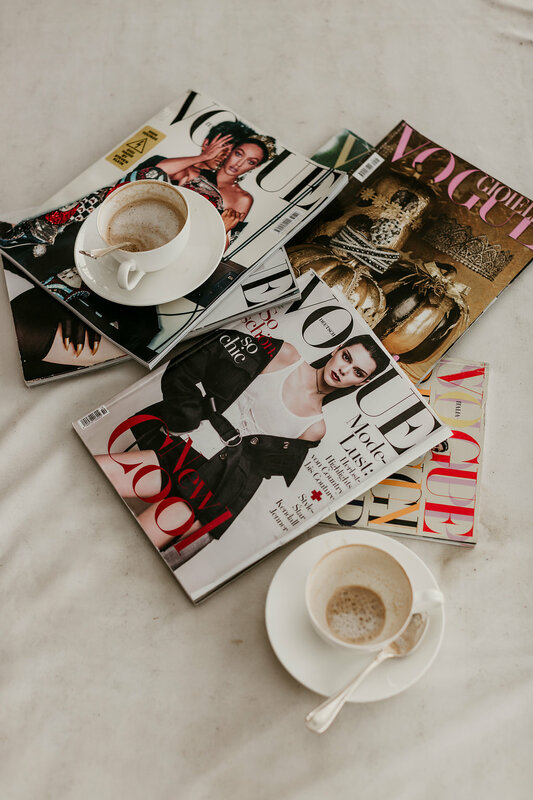 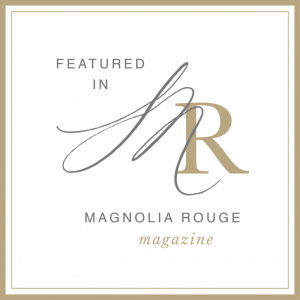 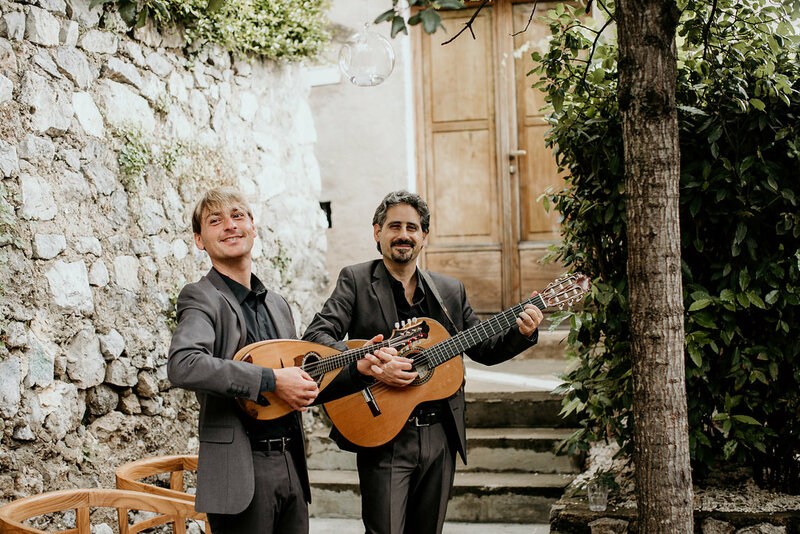 "We had the incredible Rossini Weddings help us plan our wedding. 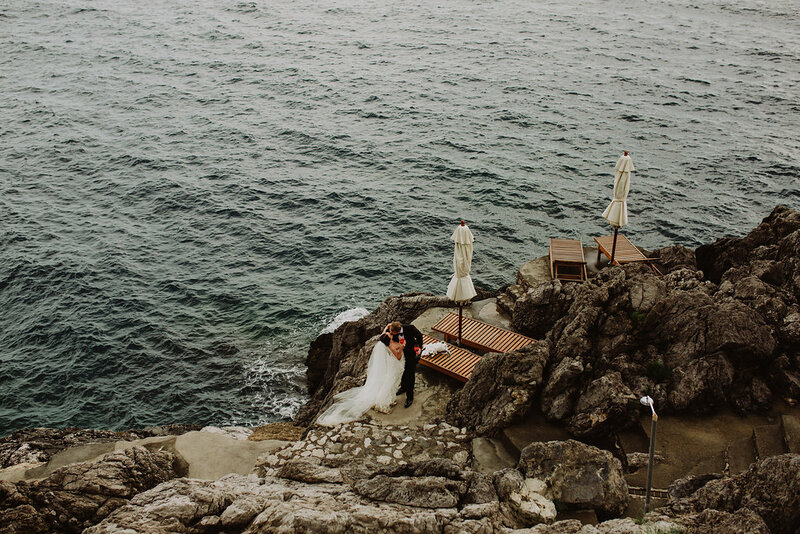 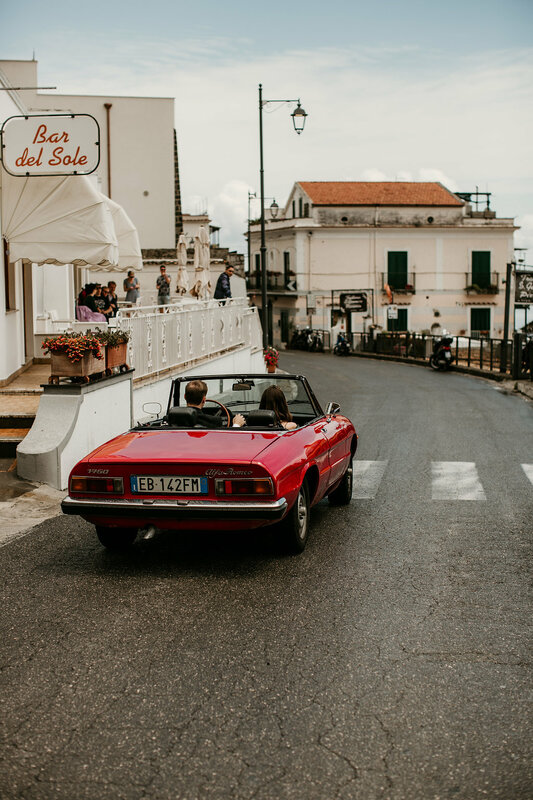 If you are planning a destination wedding in Italy, we couldn’t recommend them enough. 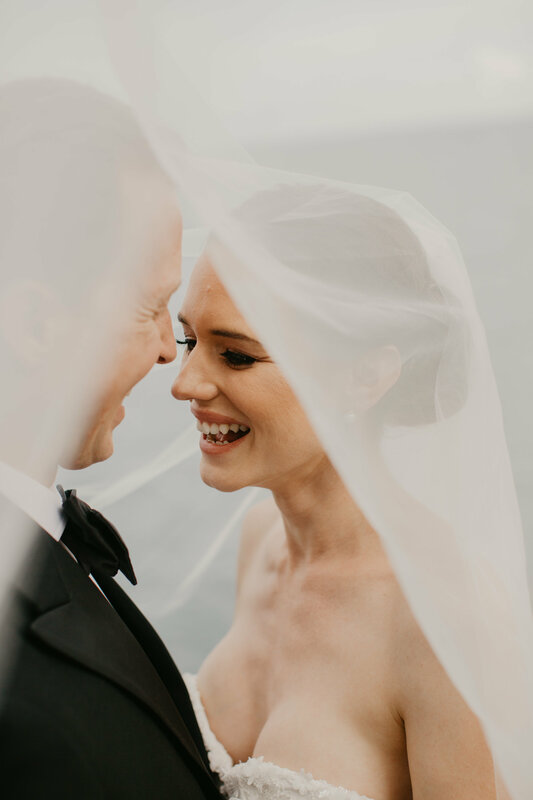 They truly made this the best day of our lives."